Hammond, Paul. Railway Odyssey. A Guidebook to the Orange Empire Railway Museum, Perris, California. Perris. Orange Empire Railway Assoc. 1992. 111 pps. Octavo. Soft cover. Reprint. Illustrated. Roster laid in. Fine copy. Hammond, Rolt. Railways Tomorrow. A Study of Railway Transport Problems with Special Emphasis on the Modernization Plan for British Railways. London. Alvin Redman. 1963. 187 pps. Octavo. Hardcover. First edition. Illustrated. Fine copy in near fine dust jacket (in mylar). Hand, Victor and Edmonson, Harold. The Love of Trains. Steam and Diesel Locomotives in Action Around the World. New York. Octopus Books, Ltd. 1974. 96 pps. 4to. Hardcover. Illustrated in black, white and color. Fine copy in fine dust jacket (in mylar). Hanft, Robert M. San Diego & Arizona. The Impossible Railroad. Photo available. Glendale. Trans-Anglo Books. 1984. 224 pps. 4to. Hardcover. First edition. Illustrated. Important reference work. Fine copy in fine dust jacket (in mylar). Hardy, Brian. L.P.T.B. Rolling Stock. 1933 - 1948. London. Bradford Barton. nd. Octavo. Hardcover. First edition. Illustrated. Fine copy. Very light musty odor. Harris, Ken. 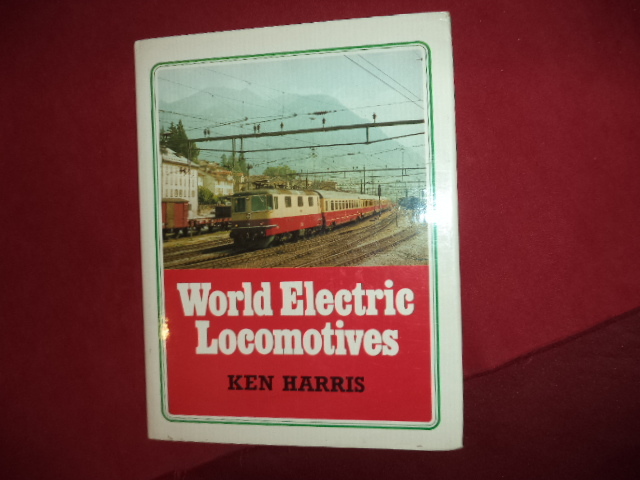 World Electric Locomotives. Photo available. London. Janes. 1981. 160 pps. 4to. Hardcover. First edition. Illustrated. Important reference work. Fine copy in fine dust jacket (in mylar). Harris, Nigel. Steam. All the Way. St. Michaels. Silver Lind. 1987. 128 pps. 4to. Hardcover. First edition. Illustrated in color and black & white. Fine copy in fine dust jacket (in mylar). Hart, Albert Bushnell. Mentor Magazine. The Story of the American Railroad. Vol. 3, Number 11. New York. The Mentor Magazine. July 15, 1915. Octavo. Soft cover. First edition. Illustrated. Fine copy. Hasenson, A. The Golden Arrow. A History and Contemporary Illustrated Account. The Full Story of the Great Train. Photo available. London. Howard Baker. 1970. Octavo. Hardcover. First edition. Illustrated. Fine copy (name on end paper) in near fine (very light shelf wear) dust jacket (in mylar). Hastings, Philip. Grand Trunk Heritage. Steam In New England. Photo available. New York. 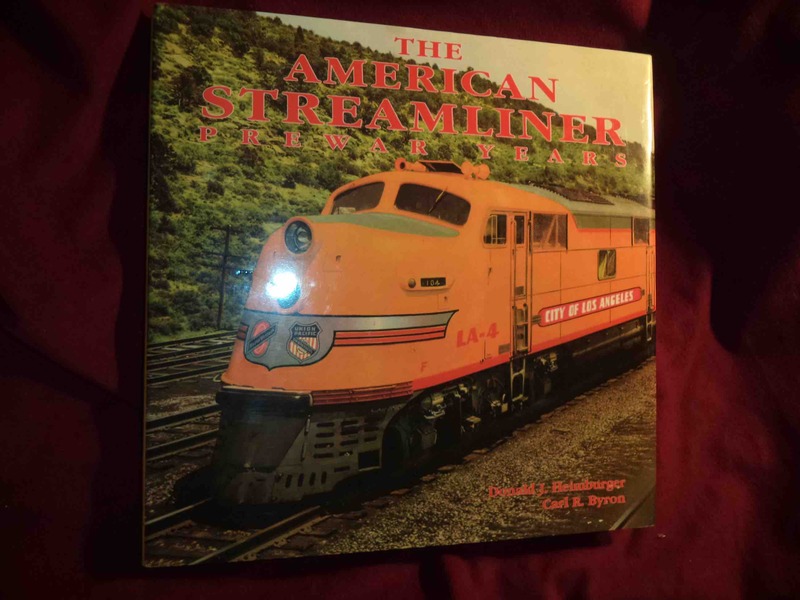 Railroad Heritage Press. 1978. 48 pps. Octavo. Hardcover. First edition. Illustrated. Important reference work. Near fine copy (very light shelf wear). Hatch, Alden. American Express. A Century of Service. Garden City. Doubleday and Co. 1950. 287 pps. Octavo. Hardcover. First edition. Illustrated. Presentation card from Ralph Reed laid in. Fine copy. Hauck, Cornelius (ed). A Journal of Railroad History in the Rocky Mountain West. 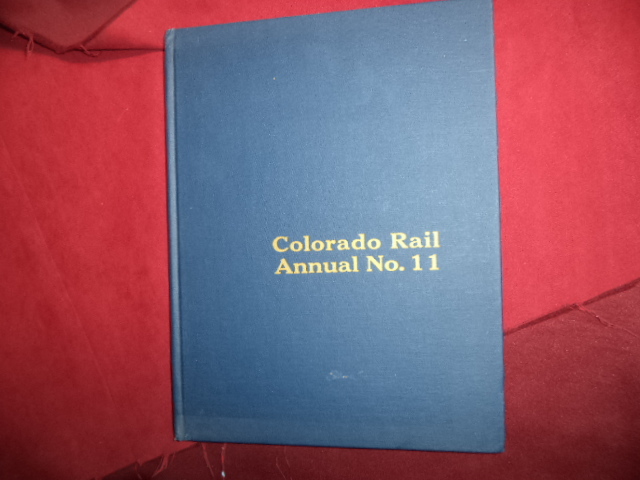 Colorado Rail Annual No. 11. Photo available. Golden. Colorado Railroad Hist. Foundation. 1981. 216 pps. 4to. Hardcover. Second edition. Illustrated. Important reference work. Fine copy. Hauck, Cornelius. Narrow Gauge to Central and Silver Plume. 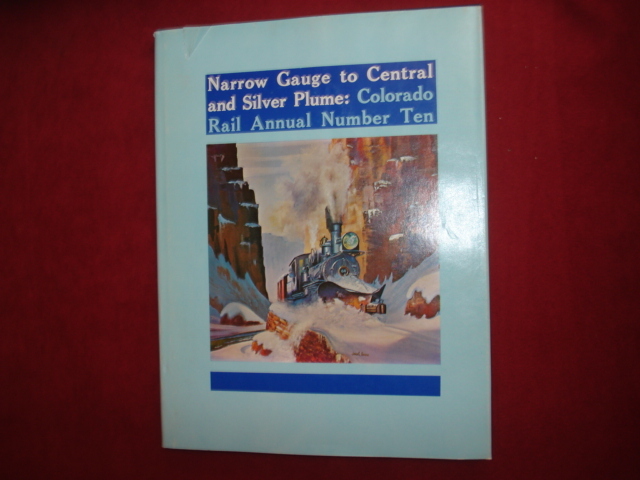 Colorado Rail Annual Number 10 (Ten). Photo available. Golden. Colorado Railroad History. 1979. 223 pps. 4to. Hardcover. Reprint. Illustrated. Fine copy in near fine dust jacket (in mylar). Haut, F.J.G. A History of the Electric Locomotive, Volume 2. Photo available. San Diego. A.S. Barnes Publishing. 1981. 180 pps. Octavo. Hardcover. First edition. Full number line. Illustrated. Important reference work. Fine copy. Haut, F.J.G. A History of the Electric Locomotive. Volume 2. Photo available. San Diego. A.S. Barnes Publishing. 1981. 180 pps. 4to. Hardcover. First edition. Full number line. Illustrated. Important reference work. Fine copy in near fine (very light shelf wear) dust jacket (in mylar). Haut, F.J.G. The Pictorial History of Electric Locomotives. South Brunswick. A.S. Barnes Publishing. 1976. 147 pps. Octavo. Hardcover. First edition. Illustrated. Fine copy in very good (rubbed, edge worn) dust jacket (in mylar). Haut, F.J.G. The Pictorial History of Electric Locomotives. South Brunswick. A.S. Barnes Publishing. 1976. 147 pps. Octavo. Hardcover. First edition. Illustrated. Fine copy in very good (light shelf wear) dust jacket (in mylar). Haut, F.J.G. The Pictorial History of Electric Locomotives. South Brunswick. A.S. Barnes Publishing. 1976. 147 pps. Octavo. Hardcover. First edition. Illustrated. Fine (owner name on end paper) copy in fine dust jacket (in mylar). Hecteman, Kevin. 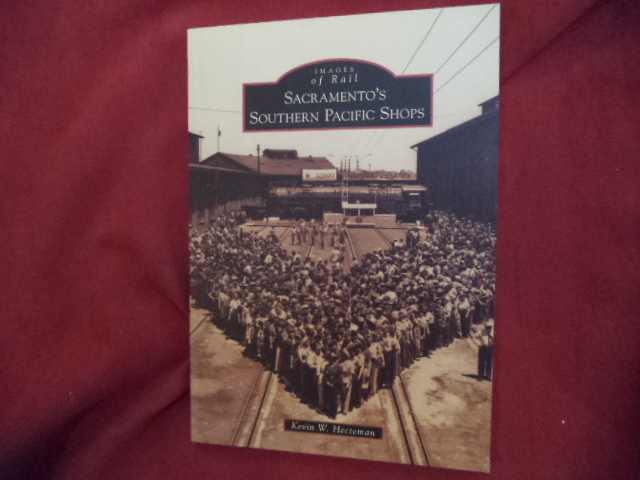 Sacramento's Southern Pacific Shops. Images of Rail. Photo available. Charleston. Aracadia. 2010. Octavo. Soft cover. First edition. Illustrated. Important reference work. Fine copy. Heimburger, Donald. The American Streamliner. Prewar Years. Photo available. Forest Park. Heimburger House. 1996. 176 pps. Octavo. Hardcover. Stated first edition. Illustrated in color and black & white. Important reference work. Fine copy in fine dust jacket (in mylar). Heimburger, Donald. 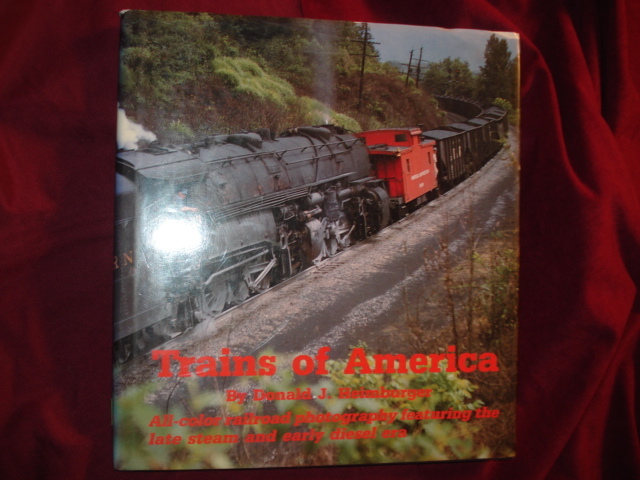 Trains of America. All-Color Railroad Photography Featuring the Late Steam and Early Diesel Era. Photo available. Forest Park. Heimburger House Pub. Co. 1989. 204 pps. 4to. Hard cover. Second edition. Illustrated in color and black & white. Fine copy. Heimburger, Donald. 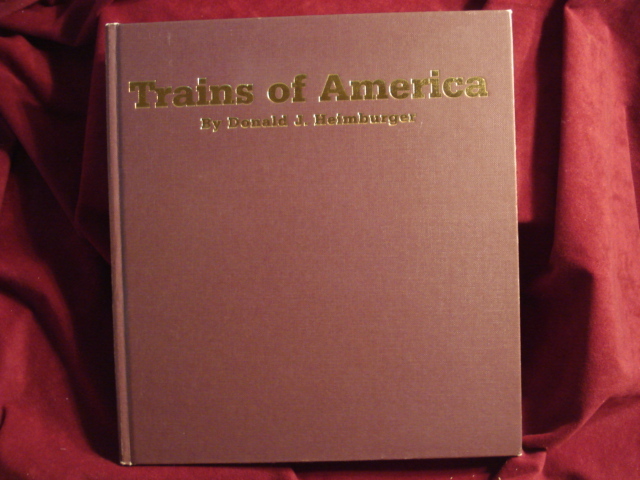 Trains of America. All-Color Railroad Photography Featuring the Late Steam and Early Diesel Era. Photo available. Forest Park. Heimburger House Pub. Co. 1989. 204 pps. 4to. Hard cover. Second edition. Illustrated in color and black & white. Fine copy in fine dust jacket (in mylar). Hendrych, Stanislav. Stopou Dejin Zeleznic Vpodorlicku. Kruh. np. 1987. Octavo. Hard cover. First edition. Illustrated. Fine copy in fine dust jacket (in mylar). Henry, Robert Selph. Trains. Electronic Age Edition. New York. Bobbs-Merrill. 1957. 153 pps. 4to. Hardcover. First edition. Illustrated. Fine copy in fine dust jacket (in mylar).